We deliver amazing service at a fair price. You provide alcohol, mixers, ice, and glassware and we do the rest! A complimentary consultation and budget friendly shopping list comes with every booking. 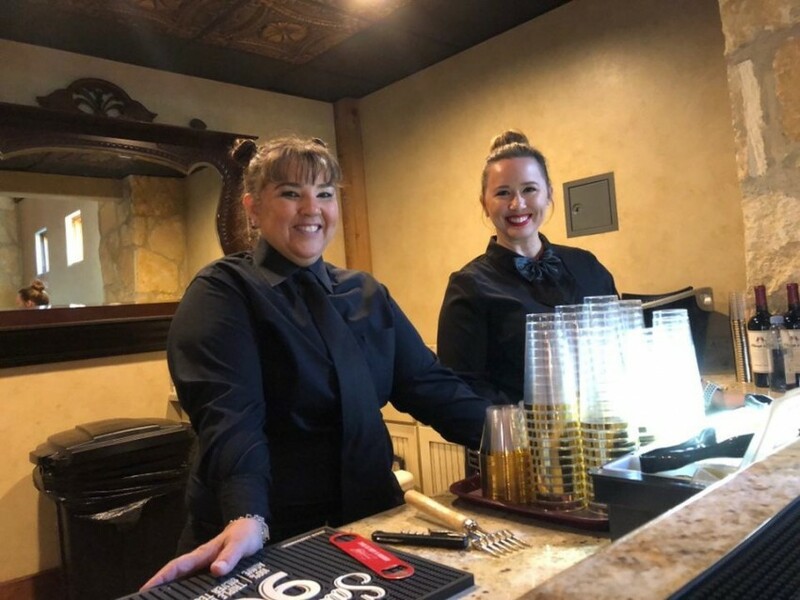 A professional and TABC Certified Bartender will personalize your experience and allow you to enjoy your event with your guests. Our Event Staff is Food Handler Certified and service professionals. I worked with Nikki and staff to hire their bar tending and serving service for my wedding this month. Legit, the best decision I made. 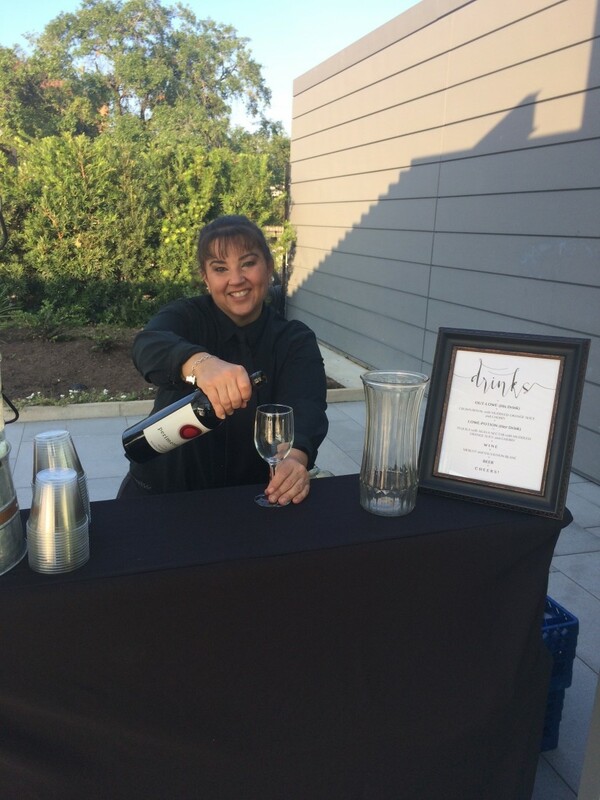 I received so many compliments from my guests on the bartenders and offerings, and working with Nikki leading up to the event was a dream. She knew her stuff and the house cocktails we dreamt up and shopping list made it all a breeze. I already want to plan another event just to hang with them again! Thank you for making my wedding unforgettable! We've used them for two corporate parties, and they are Stellar. Our Christmas party was booked last minute, and they were flexible, enthusiastic, and cheerful throughout the chaos. When planning, they are up front about costs and services provided--there are no hidden fees or surprises, and services are delivered exactly as expected, with the utmost excellence and professionalism. Nikki is a pleasure to work with, and they are our go-to bartending service. I hired this company for my Friendsgiving this past week and I don't even know where to start. They were super friendly! Nikki was so direct and very professional with the entire process! I hired some people in the past, and they were very late, and this company even shows up 1 hour before to set up and make sure everything will be perfect. Staff was friendly, very professional and very fun. I will totally recommend this company to friends and family for future events. 5 stars service for sure! Each one of you, Noel, Nikki, and Jasmine were absolutely awesome. This was my first experience using wait staff and I'm totally Sold!! These three ladies put me a total easy with merely little direction they took completely over. I did not have to worry about anything. My guest and family were so relaxed and the burden was lifted and the event with smooth as ice. I highly recommend them for any event. The will hear from me again. Thank you ladies...I was so blessed. Angela really helped out, and made our event special! Angela and Cody were great! They were prompt, professional and courteous, and I’d use them or recommend them again without hesitation! We hosted a party for 70 guests at our house. Needless to say, I needed an extra hand. Nikki was an amazing bartender who engaged our guests. Angela and Mike were full service waitstaff who tended the buffet, picked up after guests, and even helped to clean up towards the end of the party. I will surely call them for my next event as I was so impressed with the level of service. Nikki and her staff were very professional and provided us with great service on our wedding day! Professional, friendly, energetic! A great addition to any event! Angela was secured by a booking one week before my event. I was unsure of the server meeting my expectations because it was last minute, but Angela exceeded my expectations. She arrived early, and brought a few extra supplies, just in case. Angela was flexible and adapted to our last minute tweaks of the event. She definitely stepped our event up a notch. I will absolutely call Mobile Intoxicologists for our next event, earlier. Nikki was the bartender for my wedding and she was nothing short of amazing. There was never a long line at the bar. Nikki got everyone their drinks and back to enjoying themselves quickly. She was very professional and prompt. Nikki was such a sweetheart, I would definitely hire her again. I highly recommend Mobile Intoxicologists for any events or parties! They are highly professional and are wonderful at what they do...which is why we have used them two years in a row! I could not have given my daughter the "Best" graduation party ever without Mobile Intoxicologists of Houston. I made arrangements with Nikki, who was very professional and courteous. She provided me with explicit details of the cost and services. I was thoroughly impressed and satisfied with the waitstaff. They were professional, polite, and attentive to the needs of all the guests. They helped setup and cleanup after the party. I highly recommend them, and I plan to use them again for my next celebration. We are always 100% pleased to have Nikki with us for New Year’s Eve! Thanks Shannon! It is always my pleasure to ring in the New Year with you and your guests! This was our second time to request Nikki as our bartender for our Christmas party. We absolutely loved how well prepared, friendly and professional she was. Already looking forward to next year! If you want the best possible service, Mobile Intoxicologist of Houston is they way to go. Their waitstaff was amazing!! Our Quinceanera was a successful because if their service. Our guests never had to wait for their food. I would hire them in a heartbeat for any event. Super professional and courteous. I wish I could give 50 stars. Thanks Nikki for everything. Please tell your team we are super gracious for all. Nikki was our bartender for our corporate event and she was wonderful! Very friendly, reliable and did an amazing job setting up and even helped with putting away all of our leftover wine and beer at the end of the night. Thanks Nikki! Awesome help from Angela and Michael!! Nikki's team did an outstanding job with my event... A birthday party. They arrived a little earlier than I expected, were very professional and did their job above my expectations. 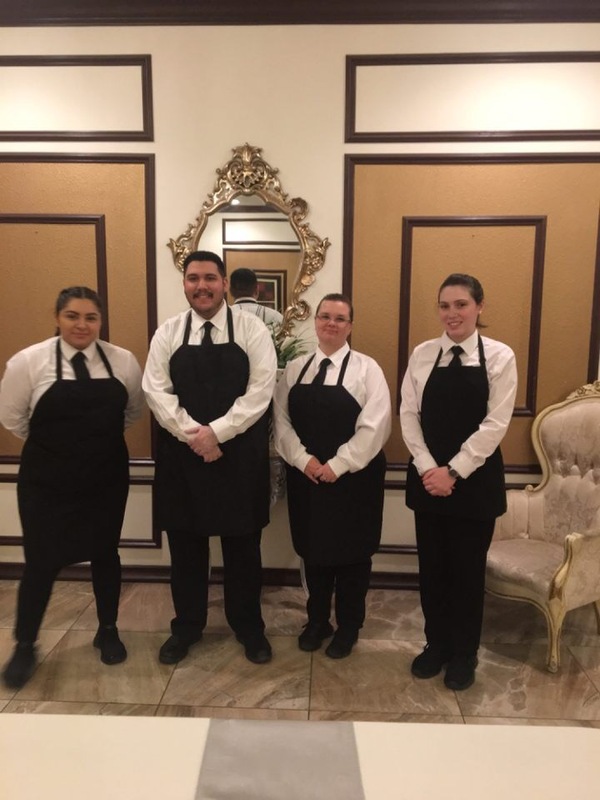 I would highly recommend this team to anyone who may need waitstaff help with any event. Intoxicologists did a great job! Nikki came with some extras to create fun drinks that my guests loved! Her set up was neat clean and professional. Amanda was our server. She did awesome as well! She organized and set up all of the food, kept dishes filled, and walked around with appetizers. They also cleaned up and washed all of the dishes used before they left. Thanks to these wonderful ladies, we had a very successful and fun evening. The Ladies serving my family and I, were excellent. They had to stay a little later and work really hard for us. I definitely would recommend GigSalad and Mobile Intoxicologists. They did a wonderful job. The head server and bartender were awesome and the cake cutter was great! I would hire them again. Thank you Toni. We appreciate you! Nikki and her companion did a terrific job! Very professional! Thank you Lise. Mike and I enjoyed taking care of you and your guests! Angela made our party go so well that I didn't realize that it was held at my house! The best party I have ever had! We hired Mobile Intoxicologist of Houston's team of servers and a bartender for the party we had. They went above and beyond for our friends and family, everyone loved them! The servers carried the hor d' oeuvres throughout the first hour and a half, then they served the food, they kept all area's clean and even made to-go plates for my guest! The bartender made amazing drinks, she was so funny and created drinks that pleased everyone, we all enjoyed her presence! I didn't have to do anything but show up to my party, they did the rest while I spent my time with friends and family! I'm so glad that I hired them and I certainly will again for the next party we have! Thank You Jennifer! We really enjoyed taking care of you and your guests! Best servers and bartenders in Houston! From the start they were professional and quick to respond to my every need! They arrived on time and exceeded every expectation I had. The servers took over and I did not have to even tell them what to do. The bartender Nikki was amazing and everyone LOVED her drinks!!! I will be calling them for every event in the future. Thanks Mobile Intoxicologists! Thank you Tracey! We had a great time with you and look forward to the next event! Once you are booked with us we begin with a complimentary consultation to get to know you and your event better. We will provide you with a detailed budget friendly shopping list and tell you where to shop. When we arrive we need minimal direction and allow you to enjoy your event with your guests. We will leave our workspace cleaner than we found it. My name is Nikki. I have worked and managed in the service industry for over 25 years. I have been mobile for 2. My team is TABC Certified and Liquor Liability insured. I have a diverse team who are enthusiastic and energetic waiting to serve you. We believe everyone deserves a great bartender at a fair price. We offer mixer packages, ice, and disposable cups upon request. We serve Open Bar only. All guests must have complimentary and equal access to all beverages being served. We do not serve minors or intoxicated persons. Even in your private party we must follow Texas Law. We must have possession of all alcohol on the premises being consumed while we are contracted. Our insurance requires this and your venue will too. We will cap and seal all alcohol before we leave. We cannot allow anyone other than Mobile Intoxicologists of Houston employees behind the bar. If your venue requires a security officer the officer must be present before we can open the bar.